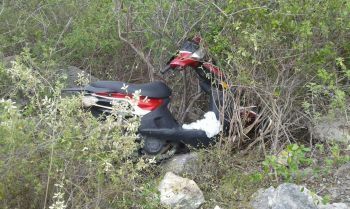 Details surrounding the accident remains sketchy; however, this news site was told by sources on Anegada that the woman "got hurt real bad" and was expected to be airlifted to Peebles Hospital on Tortola. "We have many of this [accidents] going on and never get reported, but every time someone fall on Tola it's on the news...Here it's mainly because of the bad roads," a resident of Anegada told this news site. We will provide more details on the accident once they become available. How so? Did he bump into a cow? Any updates on the lady with the head injury that happened in July?